This is the season when we have more family gatherings and we’re always thinking about what to make for these special occasions. The more simple the appetizers are, the more I like them because that way I can concentrate on the larger meals and desserts. 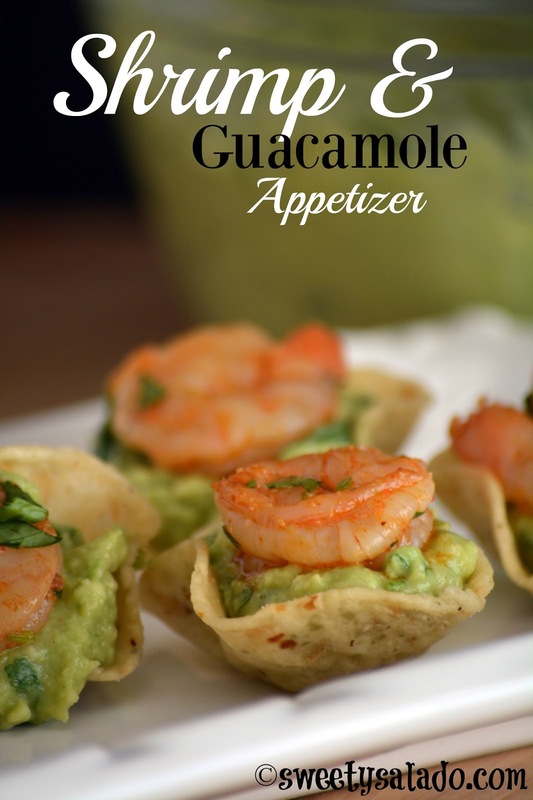 Today’s appetizer could not be easier to make and has fantastic flavor. The shrimp marinade is practically the same one I used to marinade the chicken for the grilled chicken I made in a previous post, only that I changed the measurements a bit. We already made the guacamole in another post and I highly recommend it, not only because it’s delicious, but also because I show you how to cover it and store it so it doesn’t turn brown. In a large bowl mix the first 6 ingredients to make the marinade. Add the shrimp and toss to make sure they're well covered with the marinade. Cover with plastic wrap and refrigerate for 1 hour. Cook the shrimp in a large pan on medium high heat for about 3-5 minutes or until they're pink and opaque. Remove from the heat, place them in a medium bowl, add the lime juice, toss and let them cool completely. Once cooled, add the cilantro. 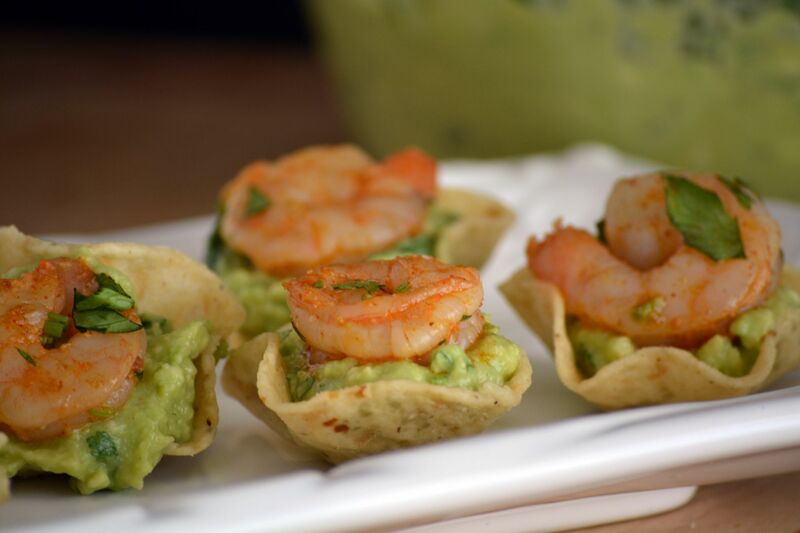 To assemble the appetizers, place about 2 tsp of guacamole on each chip and then place a single shrimp on the guacamole. Serve immediately.